Full service Dive & Swim shop. We offer swim classes, dive lessons, scuba repair, and more! Voted Best Dive Shop in Houston for 2012! Evidence for the existence of their kind dates from the Ordovician period, about 450–420 million years ago, before land vertebrates even existed and before many plants had colonized the continents. They not only predate the dinosaurs by some considerable margin, they also survived whatever it was that ultimately wiped them out. It would be fair to say, therefore, that these creatures must be pretty darn good at what they do and that they must have well and truly earned their place in the current ecosystems of this planet. This is down to, in no small part, their incredible design which is so much more than just hydrodynamic perfection. An almost legendary olfactory capability able to detect blood as diluted as 1 part per million. Tapetum lucidum (a shiny layer of tissue in the eye that reflects light back to the retina to you and me!) equipped eyesight, adapted for lower light levels. A series of receptors running the length of each flank known as nueromasts make up the lateral line which is used to detect movement and vibration in the surrounding water. Electromagnetic field receptors called the Ampullae of Lorenzini bestow them with the greatest electrical sensitivity of any animal allowing them to not only detect the minute bio-electric fields of potential prey but to navigate using the Earth’s magnetic field. And finally some of the coolest, most highly specialised, and just plain gruesome dentistry the world has ever known. You add all of these things - these components on the wish list of a perfect predator – with a pinch of elegance, grace and panache and you are left with - a shark. Sharks teeth literally come in all shapes and sizes from the needle like Sand Tiger, to the circular saw of the Cookiecutter shark, to the 7 inch serrated daggers of Carcharodon Megalodon. One thing they all have in common, however, is that they are all exquisitely adapted to their specific task at hand. It can also make them look mean, dangerous and menacing. Which of course they are – if you happen to be on their menu. Which by the way, humans are not! And this, unfortunately, does them no favours in the public relations department. It is because of the fact that they are so beautifully equipped to dominate their habitats - true masters of their environment – and equipped with sharp, pointy, frightening looking dentistry that, to most of us, they carry a label and that label reads “evil dangerous man eaters”. And this, one imagines, must make it much easier to tuck in to a bowl of soup containing select parts of these gruesome evil killers without even the slightest hint of guilt. I mean after all, they’d do the same to us in a heartbeat right!? Well actually… er, no. That’s not correct. As I said, we humans are not on the menu. Why would we be? Our natural habitat is terrestrial for starters. Sharks don’t hunt so well on the savannah. Nor are they to be found roaming the isles down your local Wallmart. “Oh, but I’ve seen shark attacks on the news…” I hear you say. This is, you will find, largely to do with the fact that we are prone to wonder into their environment from time to time. In much the same way as you would expect anyone strolling through the Serengeti in khaki shorts and sand shoes to arouse the interest of the local lion prides. Yet most of us appreciate that people do not constitute the daily dietary requirements of a lion. And let’s not forget the fact that more people are killed by vending machines, lightning strikes and the humble bumble bee every year than by sharks. It’s true that is, you can look it up. In comparison a recently published report in the Journal Marine Policy new data on the global mortality rate of sharks and the impact of the shark finning industry has come to light. It suggests that between 63 & 273 million sharks were killed in 2010 alone. Just read that again. 273 MILLION a year. That’s 31, 164 an hour! Every single day. Or 519 a minute. Given the fact that most reproduce very slowly and cannot keep up with the rate at which we are destroying is it logical to think that shark fin soup is going to remain available indefinitely? Or will there come a point where there are simply no more sharks left? Think about it. 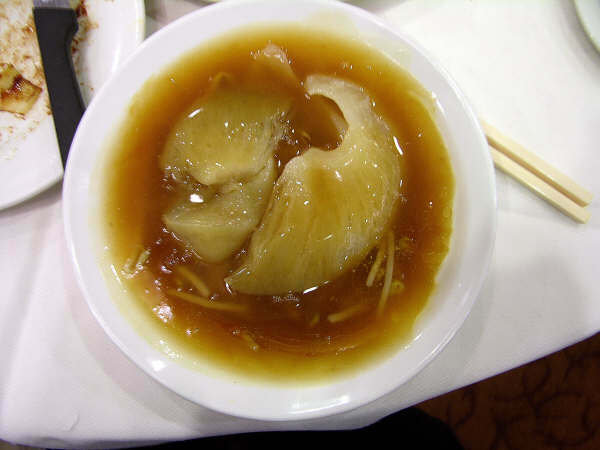 Every time somebody orders a bowl of shark fin soup we are one step closer to ensuring the demise of a group of animals that has more than earned its right to exist on this planet, by trial, over the last 450 million years. All because of a dish that is more status symbol than nutrition or taste. Sharks may not appeal to all of us but as divers and marine advocates can we really continue to turn a blind eye to this kind of slaughter? Food for thought. Copyright 2012. Gigglin' Marlin Dive & Swim. Simple theme. Powered by Blogger.